Who is responsible for food safety in Canada? Throughout Canada, programs have been developed and implemented that support children’s access to unstructured play. 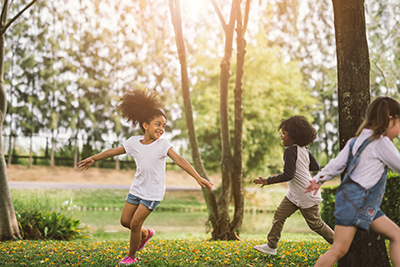 These programs address issues ranging from the design of play spaces, to developing local policies and programs supporting access to unstructured play. This section provides a series of examples that were self-identified as promising practices by the sponsoring organization. In Canada, there are increasingly limited opportunities for children to engage in play that is self-directed, free, and natural. It is important to develop new and emergent interventions and programs that support unstructured child-led play so that the children can benefit from their physical, mental, and social development opportunities. The following programs have self-identified as promising practices. Unstructured play is a child's right and is integral to healthy development. Sign up for our weekly update to stay up to date with our latest news and updates! Subscribe to one (or more!) of our mailing lists to receive topic-specific information and updates! By supporting and giving voice to its diverse membership and by advocating to governments for healthy, inclusive public policy, the Canadian Public Health Association improves the health of Canadians and contributes to a more equitable society.